Flapper Feather Headband: 100% handmade with beaded crystals. 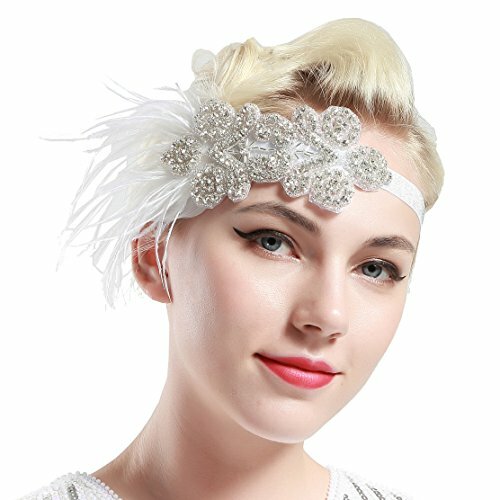 Vintage Gatsby Hair Accessories: high quality beads, and white feather. 20s Beaded Headband: good for 1920s 1930s party, Great Gatsby themed party, prom and art deco occasions.